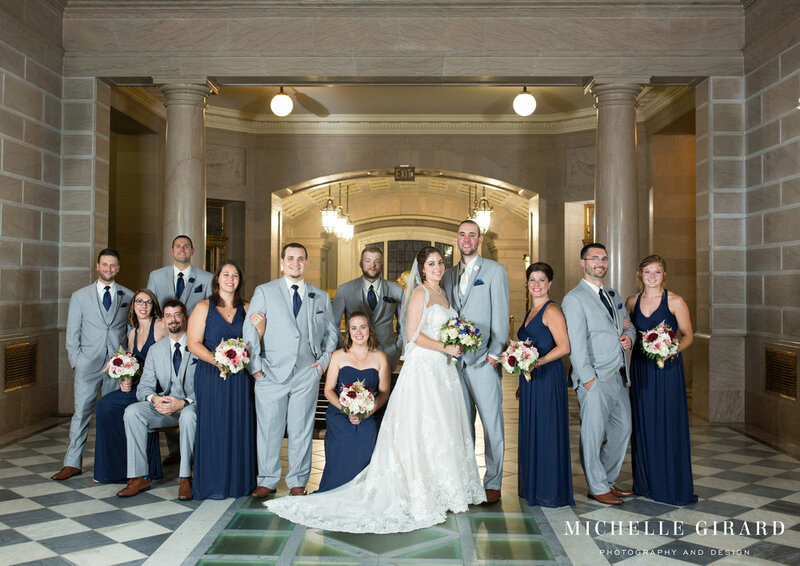 Danielle and Patrick celebrated their wedding last Friday, utilizing two incredibly beautiful spaces in the city of Hartford, the Society Room and City Hall. Both dramatic sites with real historic character. And both unforgettable settings. 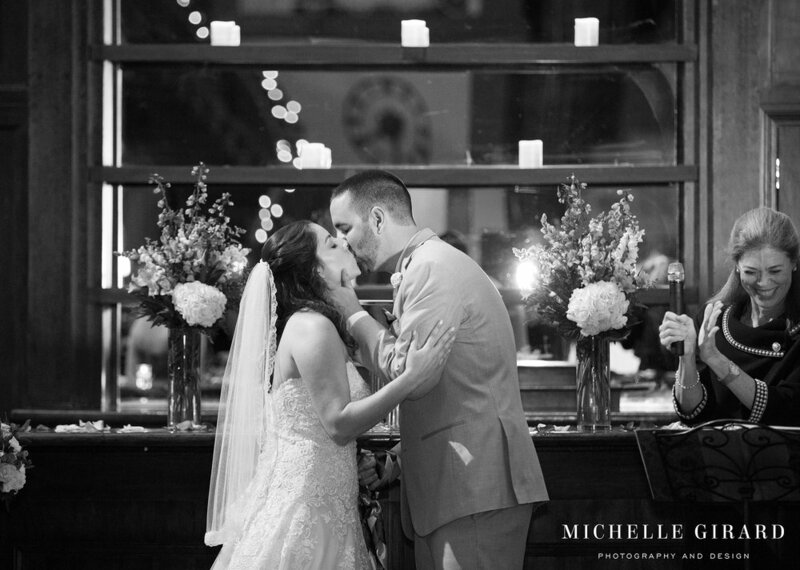 Even with such wow-worthy backdrops though, you couldn't take your eyes off of Danielle and Patrick. It was a memorable day. Some of my favorite parts were at the very start actually. You could feel the anticipation in the room as Danielle finished getting into her gown, the emotion of the moment rising, and then seeing the way Patrick watched Danielle come down the aisle. The way they looked at each other. The way they laughed together at their ceremony. When their moms came forward to take part in their hand fasting ritual at the very end. And, of course, when they shared their first kiss as husband and wife together. And all of this was just the start! In addition to that love you could easily see between Danielle and Patrick, these two tackled the tiny obstacles of the day together seamlessly. They hunted down their wayward limo while braving the crazy humidity and the sporadic rain of the day. Although these are seemingly small trials, they have already handled greater hurtles in life together. They're a team, whether at home or on separate continents. They are a beautiful example of what it means to be partners. And I feel honored that I got to help them capture a piece of that on their wedding day!